The shadow home secretary told delegates the Tories had “weaponised” immigration. 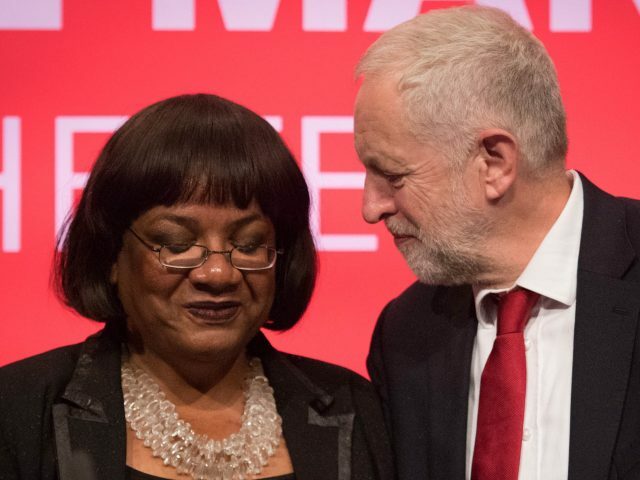 Jeremy Corbyn will not scapegoat immigrants and Labour will have a reasonable approach to managing migration, Diane Abbott has told the party’s conference. The shadow home secretary received a standing ovation as she came on stage in Brighton where she told delegates the Tories have “weaponised” immigration and have been “prepared to pander to anti-immigration sentiment”. Ms Abbott said Labour would end indefinite immigration detention and review the Prevent anti-extremist strategy. She said: “There are real labour market issues in relation to immigration – but the Labour Party under the leadership of Jeremy Corbyn will never scapegoat immigrants for these issues. Ms Abbott said there was increasing concern that Prevent is a tainted brand that is not fit for purpose. She said: “Trampling on our civil liberties will do the terrorists’ work for them. Ms Abbott also stressed the nation cannot be kept secure “on the cheap” as she pledged to reverse funding cuts and recruit 10,000 new officers. The Government is boosting its total spending on counter-terrorism by 30%, from £11.7 billion to £15.1 billion. However, Sara Thornton, head of the National Police Chiefs’ Council, has argued the amount allocated from that budget to policing, which currently totals around £700 million a year, is set to be cut by 7.2% in the next three years. Ms Abbott said: “The truth is that austerity undermines policing and community safety in just the same way that it undermines our health service. “We see the consequence of this around us, with rising levels of homicide, knife and gun crime – and the police themselves are suffering from spiralling levels of overwork and stress. On Grenfell Tower, Ms Abbott said the blaze symbolised the Conservatives’ failure and that the failure “goes further than the borough council”. “Events at Grenfell are also a direct consequence of deregulation of fire standards and inspection, privatisation and outsourcing. “We demand justice for the Grenfell survivors – they will not be forgotten.